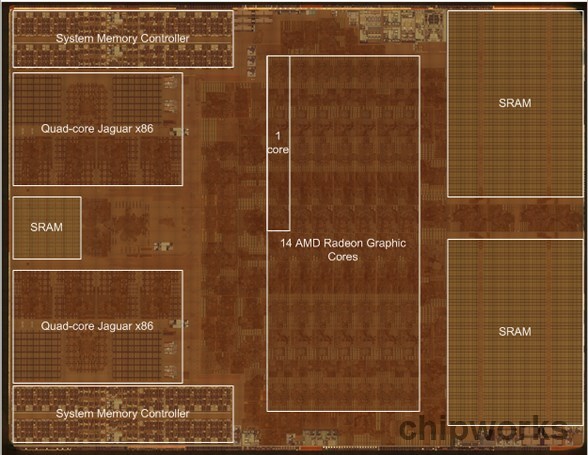 Venturebeat reports that there’s strong evidence to suggest that AMD has yet again won a gaming semi-custom chip design. This time around it’s for Nintendo’s forthcoming Nintendo NX game console. It’s a well known fact that AMD had designed and now supplies the processors for all the three major gaming consoles, including the PS4, XBOX ONE and Wii U. With AMD’s highly successful APU – Accelerated Processing Unit – design combining both x86 CPU cores and a robust graphics engine on a single piece of silicon makes it the ideal solution for compact gaming machines. 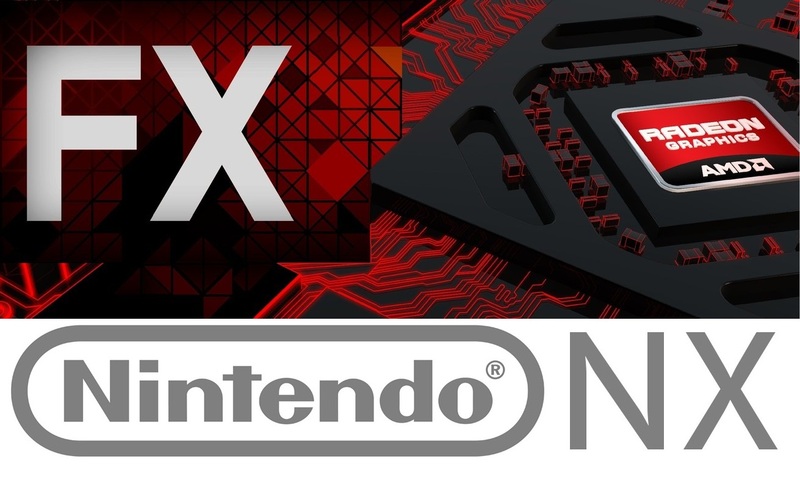 After the last game console sweep it makes perfect sense that Nintendo would choose AMD for its upcoming gaming system. The two major players, Sony and Microsoft, chose to abandon IBM’s PowerPC architecture in favor of AMD’s x86-64bit in the last round of systems. However both wins were actually more heavily influenced by AMD’s strong graphics performance and the way the company can integrate both the CPU and GPU engines on a single chip. Something that IBM cannot do and AMD has far more experience in than its major rivals Intel and NVIDIA. In its most recent earnings call AMD announced a brand new semi-custom design beyond the two semi-custom chips that the company had announced last year. This means that the company is working on three semi-custom chips. One of the two that were announced last year is x86-64bit based and the other is ARM 64-bit based. AMD confirmed that the latest design win announced in the Q2 earnings call is also x86 based making this the company’s fourth design to incorporate the x86-64bit CPU architecture. The previous two being the XBOX ONE and the PS4 and the third being the one announced last year. AMD’s Devinder Kumar had actually confirmed last year that of the two x86 and ARM semi-custom chips announced last year, one would take the company beyond gaming. In other words, one was going to be a gaming chip. 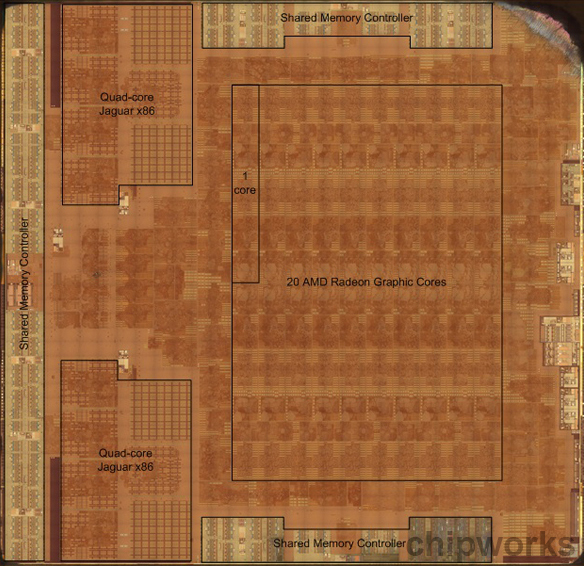 It was widely speculated that the ARM semi-custom chip would end up as the processor that would power Nintendo’s new handheld device, while the x86 chip announced alongside it would be a tailor-made server chip. Today, VentureBeat reports that the third and latest semi-custom chip would actually power Nintendo’s upcoming living room device, the Nintendo NX game console. Nintendo choosing AMD for the second time goes beyond AMD’s traditional strong points with APUs. It allows all the developers that worked on games for the PC, PS4 and XBOX ONE to can carry over their experiences to the Nintendo NX without having to go through another the hurdle of working on a different architecture like IBM’s PowerPC. All the while backward compatibility to older Wii U games can be maintained through emulators enabled by the significant performance jump that the new x86 CPU is bound to bring. This time around is also quite different for Nintendo. The company’s last design with the Wii U was actually not a semi-custom one. Rather it was based on two embedded processors one from IBM and one from AMD A small PowerPC CPU and a separate graphics chip from AMD, both of which were standard embedded products. This time Nintendo can have a tailor made semi-custom chip setup just the way it wants and can even integrate some of its very own IP blocks. It’s quite obvious that the Nintendo NX is set to launch during next year’s holiday season. Which makes TSMC’s 16nm FinFET or Samsung’s 14nm FinFET the perfect manufacturing nodes for it rather than the old 28nm node that current console chips are based on. This means that it will actually go head to head with Sony’s and Microsoft’s upcoming console refresh with smaller devices enabled by that very same FinFET technology. The new process will enable AMD to make the processors for these devices a lot smaller and significantly more power efficient. Which would in turn allow for more affordable systems that feature much more compact and sleek designs. So expect the Nintendo NX to boast a small and sleek form factor as well as an attractive price point. We’ll make sure to bring you the latest on Nintendo’s upcoming gaming device, so stay tuned.